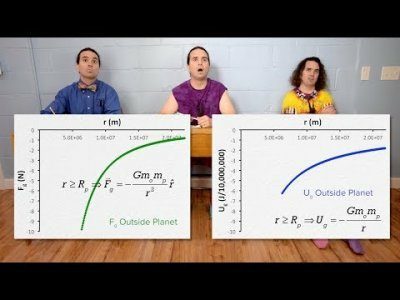 Calculus is used to determine the force of gravity and the gravitational potential energy between an object and a planet, inside and outside the planet. Equations and graphs are determined and discussed. Want Lecture Notes? This is an AP Physics C: Mechanics topic. Thank you to Sawdog, Christopher Becke, and Scott Carter for being my Quality Control Team for this video.